So very happy to share our good news! Thank You to the Readers of The Prairie Press! 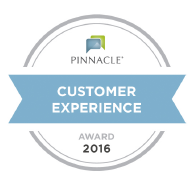 Recipient of 2016 Pinnacle Customer Service Award!